Preacher and former soldier James Taylor lays down a great revelation of the role of man in spreading the love of God. True appreciation of everything in this Earth comes from loving from the heart and spirit. 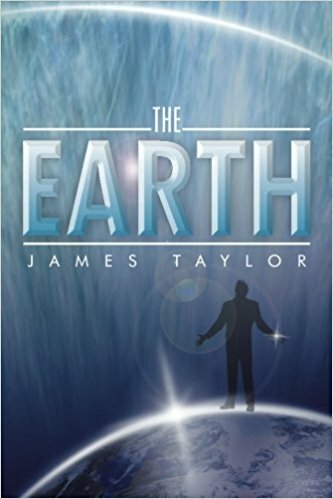 James Taylor explores in his book “The Earth” the historical and ethical factors of human life and the roles these factors play in Christian life and society. The book tackles more than just anthropological history. It digs deeper into the spiritual realm of human existence, exploring the role of love over the course of man’s history of existence here on Earth. Over the years, man’s concept and expression of love have become limited due to several factors. Man has become focused on the things of this Earth and his effort of love is no longer in tune with the love that God has provided. “The Earth” is a timely book that helps readers understand the importance of rediscovering Godly love – a love without conditions, prejudice, expectations, and ulterior motives as it is a love that is freely given. The kind of love man currently has is based on his perception: limited, conditional, superficial and constrained. The book tells readers that it is high time people acknowledge the limitations of human understanding and perception and look deeper into the things that are within them and beyond them: spirituality and faith. When man eventually relearns the way of Godly love, he can look beyond the mere coloration or pigmentation of his and other people’s skin color, imperfections, and shortcomings. A renewed love that truly comes from the heart and guided by God can look through and beyond imperfections and external coloration. There is so much color in this world that humans can truly appreciate. God has made the Earth colored according to His perfect plan and design. Humans are considered stewards of God’s creation, and they should, therefore, show appreciation and respect for all the colors that God provided, even to the pigments of the skin. “The Earth” is a much-needed reading material for the modern man. Modern technology, great achievements, and fast-paced lifestyle have severed the connection man has to his spiritual side and, in the process, to God. Along with that distant connection comes the decline of the quality of love. This book serves as a wake-up call for people to love from the heart and spirit. The 2018 Frankfurt International Book Fair on October 10-14, 2018 in Frankfurt, Germany is an important event where this essential book will be displayed. Copies are available at Xlibris (https://www.xlibris.com/Bookstore/BookDetail.aspx?BookId=SKU-0137398003) and Amazon (https://www.amazon.com/Earth-James-Taylor/dp/1493117564/). James L Taylor Sr. is the son of Henry Taylor; whose grandfather was a former slave. He was born on a Mississippi Plantation in 1958. He is a product of the Orange County Public school system in Winter Garden, Florida. He attended Valencia C.C in Orlando, Florida in 1976; afterwards he retired from the US Army in 1997. He was self-educated in the history of warfare, Spiritual Discipline Meditation as a soldier. He is an astute student of Theological and Spiritual Doctrine. He has the biblical Spiritual Gifts of the Spirit of Knowledge, Wisdom, and of Faith. Taylor accepted Christ at an early age and surrendered to preach at age 21. He served as Assistant Pastor of Holy Light Deliverance Church of Columbus, GA. He is married to Loretha Taylor. To this union two children have been born: Tweetie and James Jr.